Brentford's Julian Jeanvier will face no action from the Football Association despite admitting to spitting near West Bromwich Albion fans. Brentford say the defender had been "dealt with" after Baggies supporters claimed he spat at them at the end of their Championship meeting on 16 March. The Frenchman asked the club to apologise on his behalf. "Brentford FC has made it very clear to Julian that such behaviour is unacceptable," said a club statement. "The matter has been dealt with internally and is now considered closed." West Brom won the game 1-0 but visiting fans complained about Jeanvier's response to verbal abuse when his momentum carried him off the pitch in the closing stages. 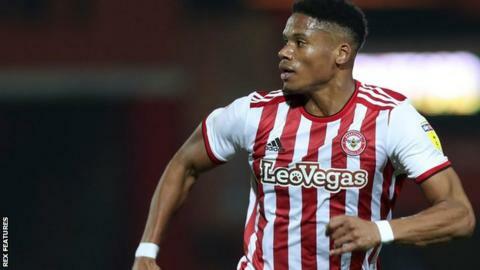 The Bees' statement read: "Brentford Football Club received complaints and enquiries about the behaviour of defender Julian Jeanvier in the last minutes of the Championship match against West Bromwich Albion on March 16. "We also heard from the Football Association about the incident and Julian provided the governing body with a statement and the club supplied video footage. Subsequently, the club has been told there are no plans by the FA to bring any charges against Julian. "However, in discussions with Julian, the defender has admitted spitting in the proximity of West Bromwich Albion fans. He has asked that the club publish this as an apology to any supporters involved in the incident."